This hack is the combination of three individual hacks. 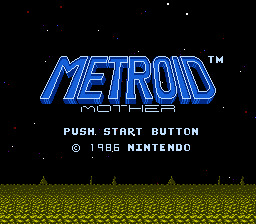 It was created to be the ultimate NES remake of a classic game. 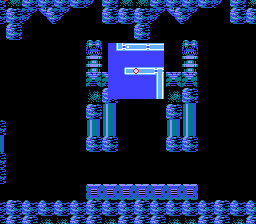 The original palette has been utilized and the layout of the map is exactly as the original. The only exception is the room where you fight Ridley. To reduce flicker (as much as possible) I had to place Ridley above the doors. I do not claim any credit for the actual content - only for the hard work of making it all work together. snarfblam Original Hacking Original hacker for Minimap - Savefiles - Beamstacking - Better icebeam and bombs. 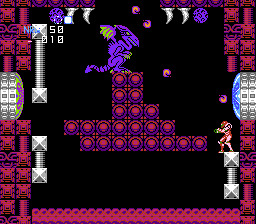 While this is the (as of yet) penultimate version of the original Metroid game due to its host of improvements, it still has some issues, the most glaring being the fact that the player still starts with 30 health and must farm to fill up the energy tanks every time the player dies and continues. 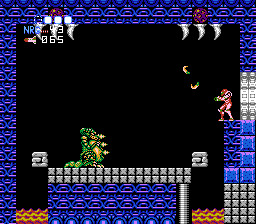 This is a super punishing mechanic, given the scarcity of enemy energy drops and that there are no energy refill points, like in Super Metroid. 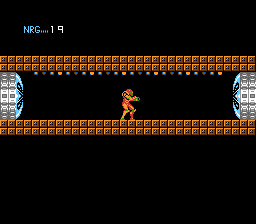 The integration of the Metroid99 hack or implementation of the same functionality would make this a near perfect and absolutely mandatory hack for all NES Metroid players to have.